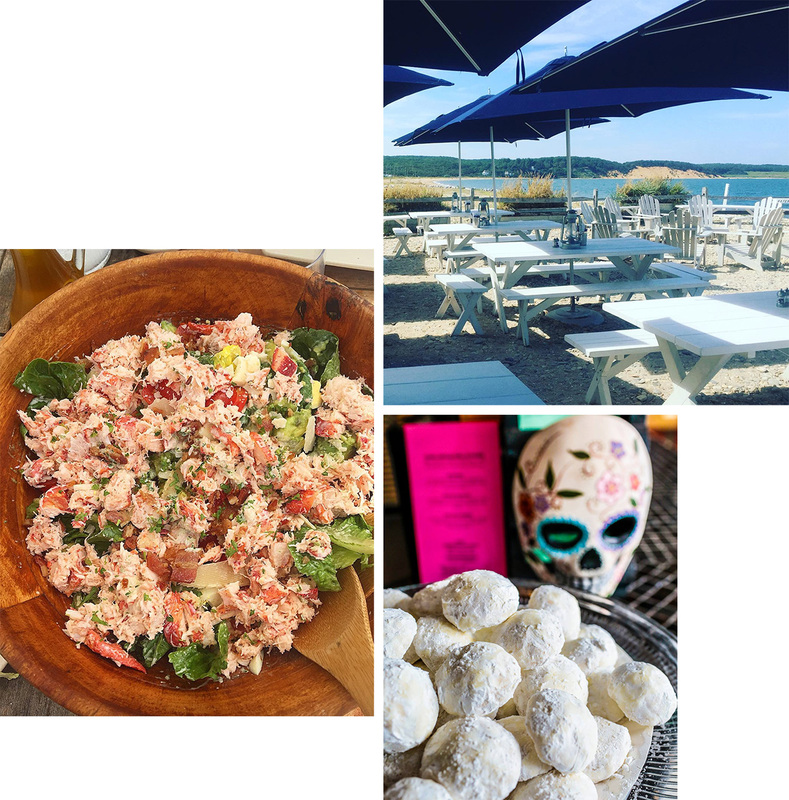 Jayma Cardoso, the New York nightlife fixture behind Montauk mainstay The Surf Lodge, is well versed in the comings and goings of the East Hampton hamlet. “[Montauk] reminded me of home,” the Brazilian born Cardoso told GRAZIA. When she first started visiting the fishing village almost two decades ago “the beaches were empty, there was so much nature, it was raw and it was a real beach town. 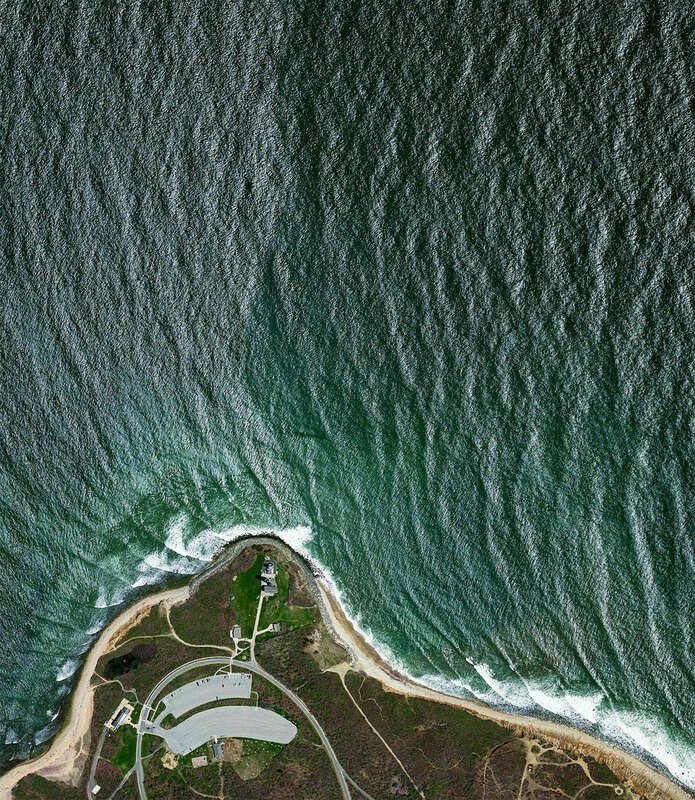 So, I guess, mainly it felt a little bit like home.” Today, Montauk is no longer the unassuming respite from Manhattan life it once was. 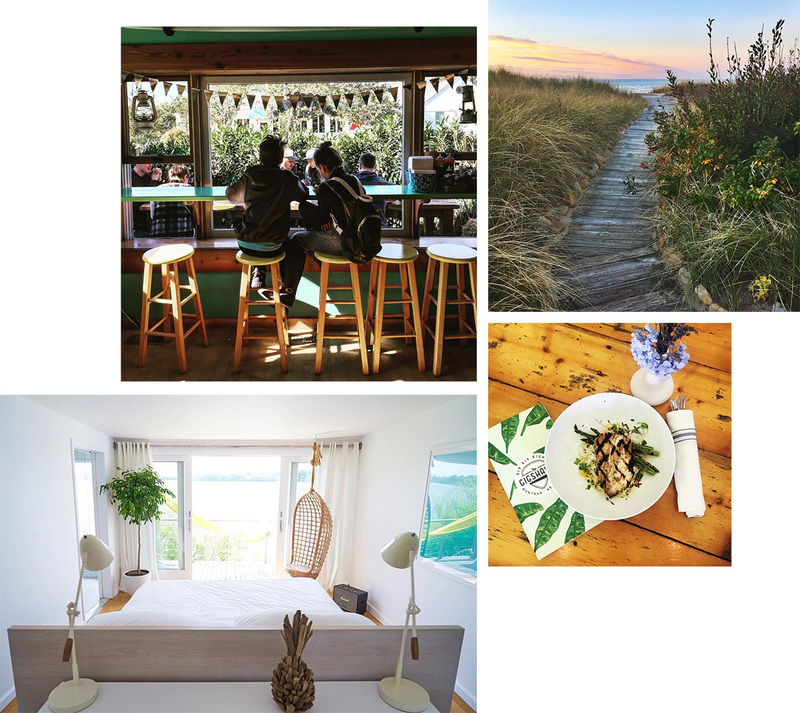 In place of mom-and-pop diners, motels and lobster shacks are thriving cultural meccas like The Surf Lodge which is as much a lifestyle brand as a boutique hotel, gallery, shop, restaurant, live music venue, bar and wellness centre. A dynamic culinary scene has blossomed to meet demand, as has a proliferation of boutiques, bars and accommodation options to rival the area’s abundant beaches and parklands. In anticipation of the hotel’s second residency at The Watsons Bay Boutique Hotel come New Year’s Day, Cardoso shares with GRAZIA her recommendations for a visit to Montauk once it’s relinquished from the throes of the off-season come Memorial Day, 2017. I love The Crows Nest. It’s on Lake Montauk but the atmosphere is super quiet and chill. They also have an amazing restaurant. I also like all the old style motels. They’re basic, but there is a character and history there. My favourite one in called Atlantic Terrace – it is simple and the rooms are dated but I love how old school it is and it’s in front of a great surf break, which is always a plus. “For lunch, Duryea’s, the setting is beautiful. I love the lobster clam bake there and it is perfect for sharing with friends. Another nice lunch spot is Navy Beach, they have a great Moqueca dish, (it’s a Brazilian fish stew cooked in a clay pot) and reminds me of home. For great Mexican, I travel 15 minutes outside of Montauk to Amagansett for a place called La Fondita. It’s worth the drive to get the wedding cookies. 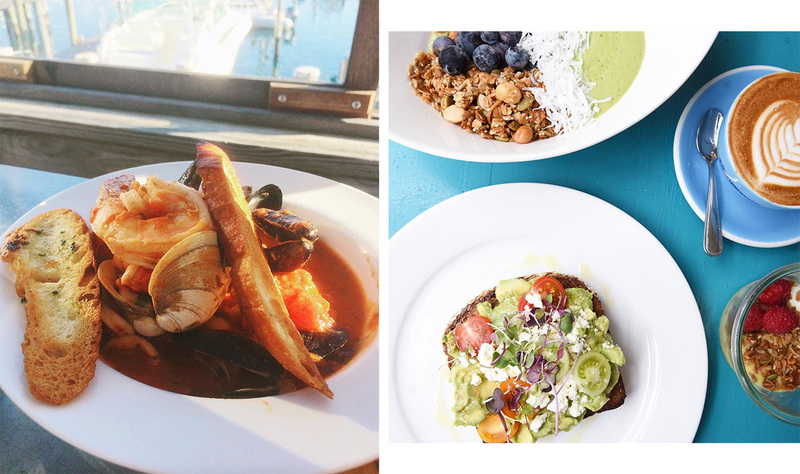 For brunch, the best place is The Surf Lodge, not because it is mine, but because our chef, Chris Rendell, is Australian and he just knows how to make an amazing brunch! The setting on the water is serene. I would order the ‘Breakie’. Also, you always get to hear amazing bands do their sound check, which is a very cool and intimate experience. In addition, our music curator Oli Benz keeps the vibe very chill and beachy! Sasha Benz, our creative director, is always there with her baby Rythm so she always encourages other moms to come and chill, listen to great music, catch up and eat a super yummy brunch. For dinner my favourite place is called Dave’s Gone Fishing. It’s a husband and wife team, a small and very intimate restaurant. Start with the tuna spread followed by their tuna bits. For your main, order the cioppino [fish stew], also he makes amazing BBQ Ribs! I also love to order the mazza platter and chicken kabob at the Crows Nest. Beach, beach and more beach. There are so many great beaches. I think people forget we are blessed with a Bay Side along with the Atlantic. Early in the season the water is warmer on the Bay Side, so check out Colloden Point. There are so many nature hikes to go on, but the Edward Vincent Ecker County Park is an amazing hike and has great views of Fort Pond Bay. Get a beach basket and stop by Joni’s and loading up on tasty snacks for the beach. Stay on the beach as long as you can, possibly come back to The Surf Lodge and take a nap on the hammock outside on your deck overlooking Fort Pond. I’d grab one of the hotel’s bikes and ride into town and get an ice cream at The Gig Shack. Ride back to the hotel and you can pretend you burned all the calories from your double scoop. 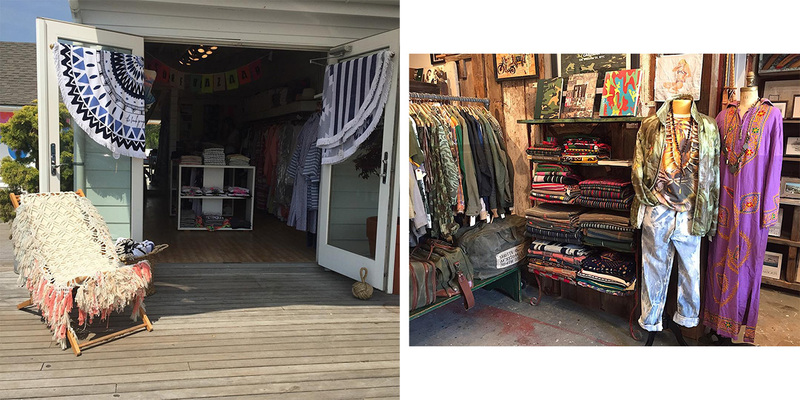 Melet Mercantile is incredible shopping experience. A virtual treasure chest and historic archive of womens and mens vintage clothing. Bob Melet, the owner, travels all over the world to find unique pieces. A lot of famous fashion designers like Ralph Lauren, Marc Jacobs buy his goods for inspirations. You can also find cool vintage books, art, old photography. Also, The Surf Bazaar located in The Surf Lodge lobby has amazing one of a kind beach dresses – definitely the place to load up on beach chic!